When teaching the Bible, I have found that I usually have a toddler's attention for a longer time when they are holding an object to touch and explore. 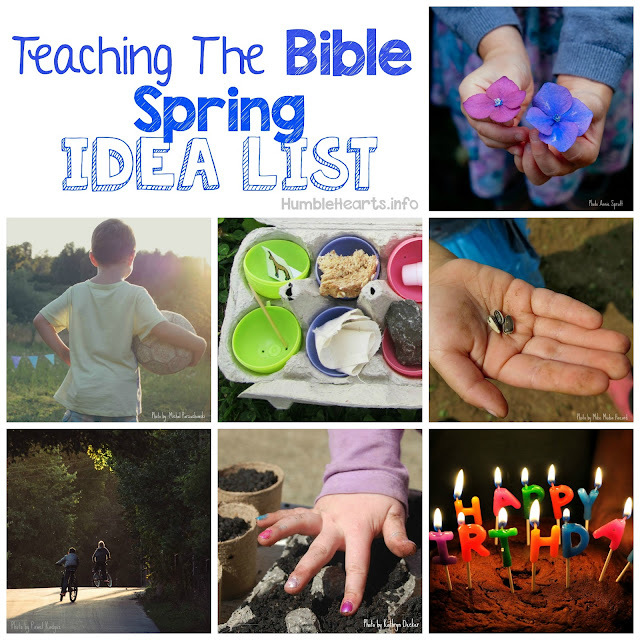 Objects from around your house and toys that you may already have can be used to teach the Bible. Taking a few minutes to sit with your toddler exploring the object and talking about the Bible can be a sweet and simple part of daily life. Sing "This Little Light Of Mine"
Sing "Daniel Was A Man Of Prayer"
3. A Bible - Show your child your Bible. Teach your child how to touch the Bible gently (not tear or crumple the pages). Have your child point to the Bible and say "Bible". Show your child the letters and the words inside. These words make up God's Word. Show your child different Bibles and talk about how they are different sizes and colors but they have God's Word in it. Talk about how a heart reminds us of love. 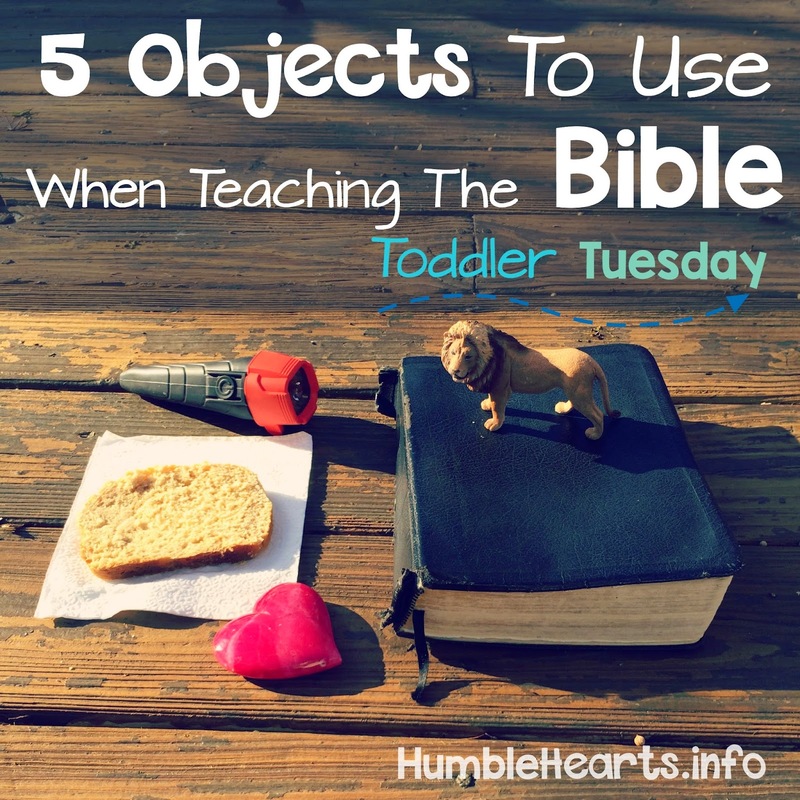 What are objects that you use to help teach your toddler the Bible? I would love to hear what works for your family. Leave a comment or email me at humbleheartsfamily@gmail.com.